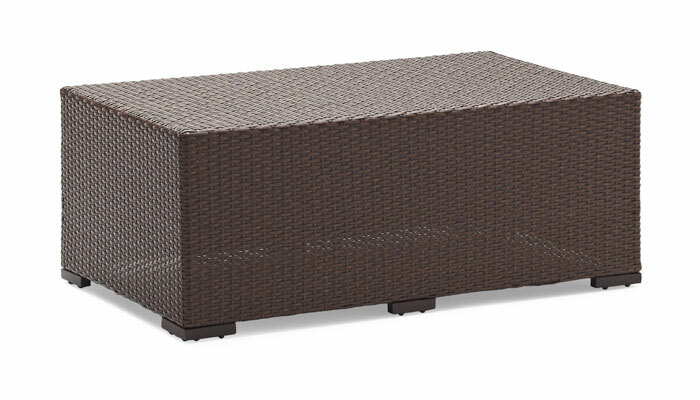 Wicker coffee table adds style and convenience to any outdoor sitting area. View larger. 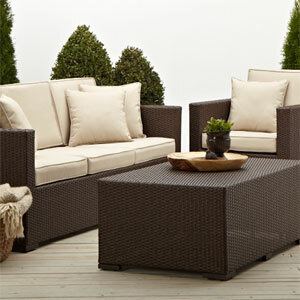 Coordinates with Griffen's 3-seat sofa and lounge chair (sold separately). View larger. 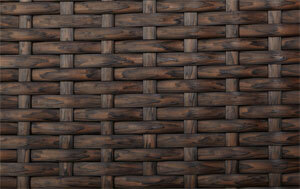 Made with woven all-weather resin wicker in dark brown with wood grain detail. View larger. 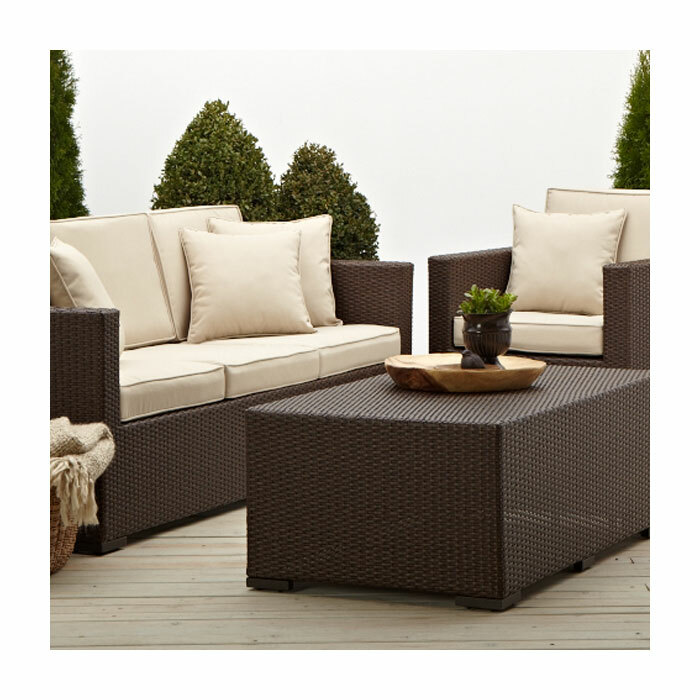 The Strathwood Griffen collection features handsome wicker furniture with superb weather resistance and maintenance-free care, making it ideal for outdoor use. As part of the Griffen collection, this contemporary coffee table infuses convenience and style into any outdoor sitting area. Whether placed on a front porch or backyard patio, the wicker table adds welcoming charm for everything from visiting with friends over appetizers or casual al fresco style dining to simply putting your feet up and leisurely enjoying a good summer read. 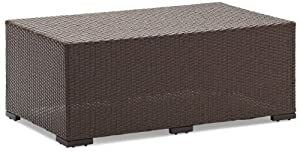 Finished in a dark brown hue, the sofa's woven all-weather resin wicker construction with wood grain detail gives the appearance of real wood, while its dark-brown powder-coated aluminum frame and feet offer durability and rugged stability. Even more, the table coordinates beautifully with Strathwood's matching Griffen lounge chair and three-seater sofa (both sold separately). 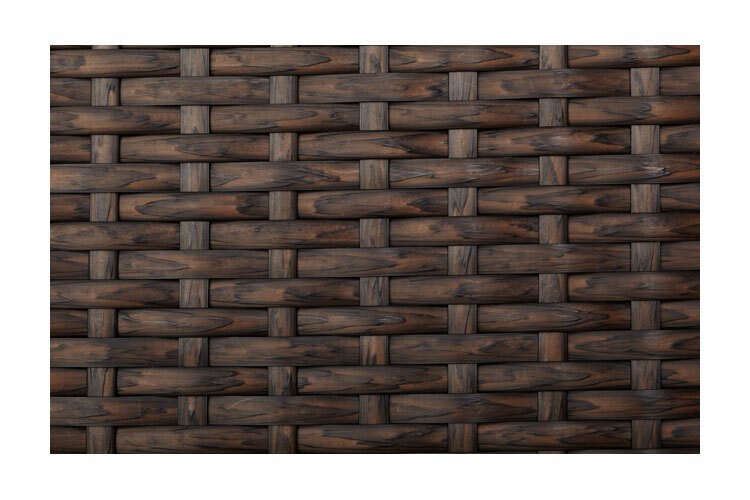 Overall, the wicker table measures 46 inches long by 28 inches wide by 18 inches tall and weighs 20 pounds. No assembly is required. Care Instructions: The table should be brought indoors or securely covered during inclement weather and stored in a dry place when not in use.